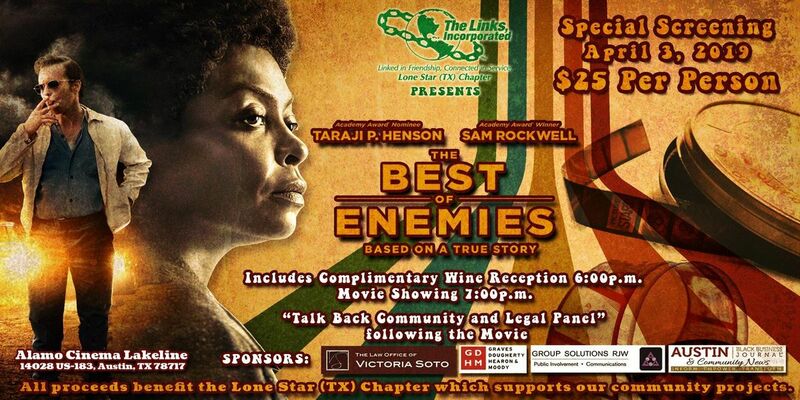 Join the members of The Lone Star (TX) Chapter of The Links, Incorporated for a special preview of “The Best of Enemies”, PG-13. 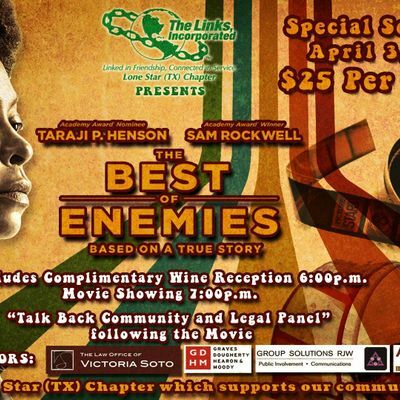 General Admission of $25 includes a Complimentary Wine Reception at 6:00pm, Movie at 7:00pm. and following the movie, a Communtiy and Legal Panel discussion. Seats are limited! All proceeds benefit the Lone Star (TX) Chapter which supports our community projects.